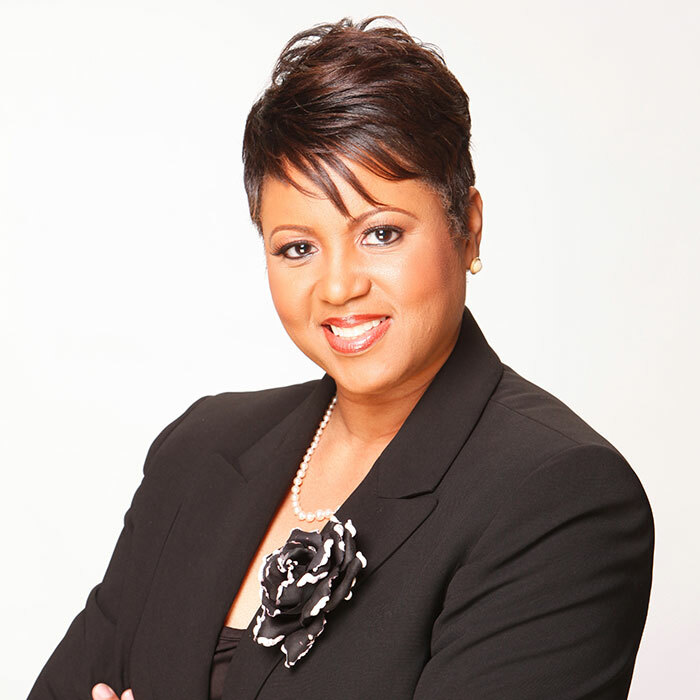 Dwan White’s natural hair journey has helped inspire many of the 200-plus products she has helped develop and launch during her near 20-year career as a product development consultant and head of Global Marketing at House of Cheatham -- from Aunt Jackie’s Curl La La Curl Defining Custard to Texture My Way Detangle Easy Comb Crème Therapy to Argan Smooth’s Silk Press Kit for straight naturals. White joined the 94-year-old Stone Mountain, GA company in 2001 as a consultant, coming on board full time 10 years ago, and 2016 became vice president of global marketing and product development. During that time, her team has grown from one – White – to five full-time employees and 30 contractors consisting of creative talent (graphic designers, videographers, photographers, MUA and hair stylists, etc. ), project managers, professional educators, brand ambassadors, social media influencers, and administrative support. 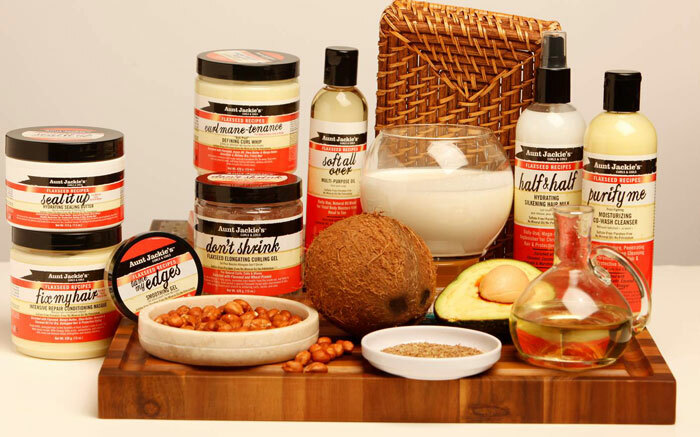 From its Polly Peachtree products sold during the early 1900s, House of Cheatham is now known as an innovator in the natural hair industry, with brands that address the needs of people of all ethnicities and hair textures. White has created new brands, products and line extensions for consumer favorites Africa’s Best, Aunt Jackie’s, Texture My Way and Argan Smooth. The company’s products are developed and tested at its on-site lab, and 99 percent of them are manufactured at the company’s headquarters. We had the chance to talk to White about House of Cheatham and how her own hair journey has influenced her work for the company. NC: You talked about how your own natural hair journey has impacted product development at House of Cheatham. When did you decide to go natural? White: My hair was first relaxed when in the 6th grade in the mid-70s. DIY relaxers were just becoming popular. Over the next six years, my hair was constantly in a state of severe damage and would break like crazy during summers from swimming and harsh blow drying. Back then, there just wasn’t enough education about at-home relaxing, and the proper care and maintenance needed to keep it healthy. Throughout my adult life, I’d go natural for short periods of time, doing the Big Chop to take breaks here and there from relaxing. But around 2010, when the natural movement was really taking shape, I decided to Big Chop again to try and make natural hair my lifestyle. Like many, I soon became a product junkie, buying every product the YouTubers were demo-ing. I was quickly becoming discouraged, spending a small fortune, and frustrated that I couldn’t identify the right products that worked for my own texture. That’s where being a part of the industry became a huge asset. I launched a market research project and started interviewing hundreds of naturals and transitioners to better understand their experiences - what they were missing, what they needed, what they liked and disliked, and their overall expectations. That information led me to work with our chemist to formulate a line of natural hair products that delivered moisture, great conditioning, softness, and shine in ways that many existing products didn’t. That line became the original collection of Aunt Jackie’s Curls & Coils therapies (Curl La La, Knot On My Watch, In Control, Oh So Clean, Quench). NC: What were the biggest challenges you faced going natural. White: Manageability and time. I have 4c texture, and an on-the-go professional lifestyle that involves lots of travel. Whenever I wear my natural hair in textured styles, the time it takes to maintain and style is challenging. I’ve still not been able to master the styling techniques for the textured styles I want to consistently wear. NC: Like many women on our site, you consider yourself a Straight Natural – someone who may wear their hair in a straight style much of the time but no longer uses chemical relaxers. Tell me about that. White: As I talk with other Naturals, particularly among busy professional women, a common challenge to wearing textured styles is that not everyone is good with techniques such as twisting, braiding, bantu knots, coiling, etc. Flat ironing once a week and wrapping natural hair at night, or throwing in some big rollers, helps to give both fullness and smoothness to natural tresses. These are great solutions, as they don’t have the damaging effects of frequent heat, and still keep hair voluminous and healthy. NC: How do your hair challenges influence the products you develop? White: The common essentials among natural hair, regardless of how it’s worn (heat styled, braids, textured, locs, etc. ), are softness and moisture. I develop natural hair remedies, like Aunt Jackie’s therapies, to be ultra-moisturizing, formulated with carrier oils and ingredients that don’t just sit on top the hair, but penetrate the hair and scalp, for inside-out nourishment, and long-lasting hydration. When people use Aunt Jackie’s therapies, their hair is left super soft, well-conditioned with all the good ingredients hair loves, and it’s much easier to manage and style. Curls & Coils stay better defined, Waves are smooth and frizz-free, and even heat styled natural hair stays soft and smooth longer, so that the user doesn’t have to frequently apply heat. NC: What do you like most about your job? White: I love conceptualizing new products. I’m fortunate to work with a company that invests in consumer research. Everything I launch has the voice of consumer behind it – from the fragrance, the benefits, ingredients, the language on the label, etc., consumer demand, expectations, and interests help me to develop new products. The consumer has helped us create our products. White: Aunt Jackie’s continues to prove that it’s a leader in the natural texture space. It is such an amazing success story. It launched in 2012, and was the first brand we introduced to meet the needs of the natural segment. Since then, it has experienced steady, consistent growth. Aunt Jackie’s understands that the natural movement isn’t just about hair. It’s about their lifestyle. Our motto is “Get Your Curl On.” Go out and enjoy your life experiences and leave your hair to Aunt Jackie’s. 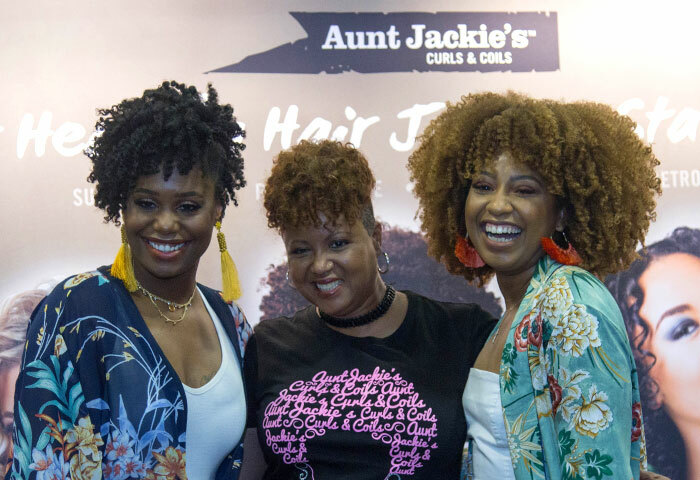 Aunt Jackie’s has grown to four collections – the Original Waves Curls & Coils with shea butter and olive oil, Flaxseed Recipes, Natural Growth Oil Blends and most recently Coconut Creme. We also have Aunt Jackie’s Girls for kids. The most popular are Curl La La, a curl cream that works across textures, Don’t Shrink Flax Seed Elongating Gel, a gel that helps stretch the curl without crunch, and Knot on My Watch, an instant Detangling lotion. NC: I love the names for the products – Knot Having it!, Frizz Rebel, Curl Boss. White: There is quite a bit of whimsy involved in the branding. We want to have fun names that also describe what the product does. NC: Texture My Way is also for Naturals. How is it different than Aunt Jackie’s? White: It’s for the curly girl who is a style chameleon. She likes to go from braids to extensions to wigs. She’s in charge of her natural texture. She may wear it straight one day and curly the next. Texture My Way includes 7 products that are designed to manage texture, no matter how you want to wear it. NC: Why was Argan Smooth created? White: As I did my research on the natural segment, I realized there was a growing segment that’s underserved – the straight natural who wears her hair heat styled. Argan Smooth was launched in 2014 for this consumer. The Silk Press Kit is the star of that line. NC: Where do you get your ideas for new products? White: We look at pop culture, market trends and beauty sites. We’re always looking at the trends. We’re looking at how influencers are doing their hair. We’re always stalking YouTube! We’re looking at what has staying power. In terms of ingredients, we’re always working with our suppliers, and wellness and nutrition professionals to find ingredients that have big benefits to hair growth, manageability, and health. In the end, whether we are trend watching, doing surveys, or conducting focus groups, we listen to the consumer and take into consideration what appeals to them. NC: So what can we look forward to next? White: We have a new Aunt Jackie’s collection launching in Q4 of this year that’s a surprise. It’s going to be a very popular line, consisting of six different therapies centered around styling. NC: So where can we buy the products? White: we’re available at Target, Walmart, Rite-Aid, Kroger, Family Dollar and Dollar General, as well as SHOP NaturallyCurly and in just about every neighborhood beauty supply store, nationwide. Globally, Aunt Jackie’s is sold in mass, drug, and cosmetic stores throughout the Caribbean, Europe, Africa, and the Middle East. We’re looking forward to adding additional distribution this year.